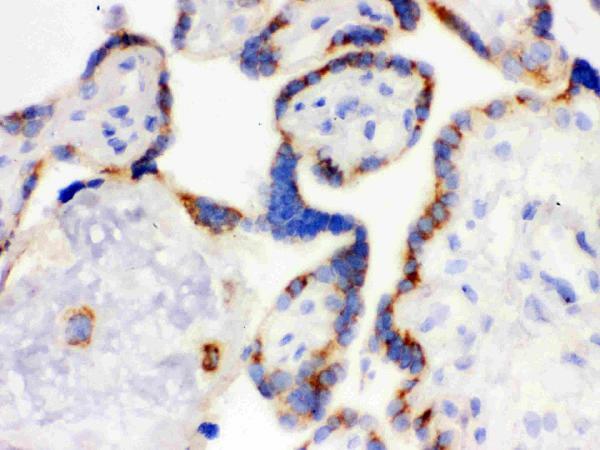 Mouse IgG monoclonal antibody for Cyclin D1, cyclin D1 (CCND1) detection. 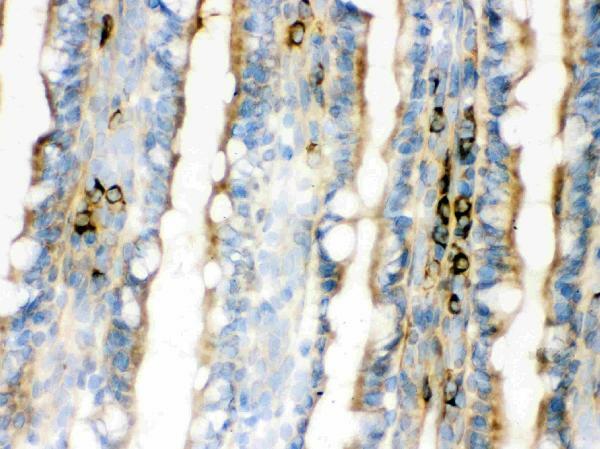 Tested with WB, IHC-P, IHC-F, ICC in Human;mouse;rat. No cross reactivity with other proteins. Recombinant human cyclin D1 protein. Boster recommends Enhanced Chemiluminescent Kit with anti-Mouse IgG (EK1001) for Western blot, and HRP Conjugated anti-Mouse IgG Super Vision Assay Kit (SV0001-1) for IHC(P), IHC(F) and ICC. Nucleus . Cytoplasm . Membrane . Cyclin D-CDK4 complexes accumulate at the nuclear membrane and are then translocated into the nucleus through interaction with KIP/CIP family members. .
Regulatory component of the cyclin D1-CDK4 (DC) complex that phosphorylates and inhibits members of the retinoblastoma (RB) protein family including RB1 and regulates the cell-cycle during G(1)/S transition. Phosphorylation of RB1 allows dissociation of the transcription factor E2F from the RB/E2F complex and the subsequent transcription of E2F target genes which are responsible for the progression through the G(1) phase. Hypophosphorylates RB1 in early G(1) phase. Cyclin D-CDK4 complexes are major integrators of various mitogenenic and antimitogenic signals. Also substrate for SMAD3, phosphorylating SMAD3 in a cell-cycle-dependent manner and repressing its transcriptional activity. Component of the ternary complex, cyclin D1/CDK4/CDKN1B, required for nuclear translocation and activity of the cyclin D-CDK4 complex, Exhibits transcriptional corepressor activity with INSM1 on the NEUROD1 and INS promoters in a cell cycle-independent manner (By similarity). .
D-type cyclins(cyclins D1, D2, and D3) are regarded as essential links between cell environment and the core cell cycle machinery. CyclinD1(CCND1), also known as BCL1. Expression of cyclin D1, but not of cyclins A and E, was induced by transfection of the RB gene into RB-deficient tumor cells. CCND1 gene to 11q13. 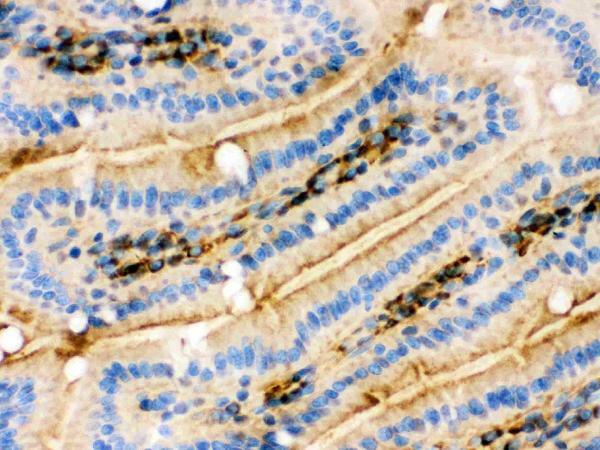 cyclin D1 gene can function as an oncogene. Cyclin D1 expression is regulated by the retinoblastoma protein. Li L, Zhao F, Lu J, Li T, Yang H, Wu C, Liu Y. Plos One. 2014 Apr 23;9(4):E95912. Doi: 10.1371/Journal.Pone.0095912. Ecollection 2014. Notch-1 Signaling Promotes The Malignant Features Of Human Breast Cancer Through Nf-? ?b Activation. Wu Y, Tao Y, Chen Y, Xu W. Plos One. 2012;7(11):E48917. Doi: 10.1371/Journal.Pone.0048917. Epub 2012 Nov 7. Rhoc Regulates The Proliferation Of Gastric Cancer Cells Through Interaction With Iqgap1. Du Mj, Chen Xd, Zhou Xl, Wan Yj, Lan B, Zhang Cz, Cao Y. Plos One. 2014 Jun 6;9(6):E99052. Doi: 10.1371/Journal.Pone.0099052. Ecollection 2014. Estrogen Induces Vav1 Expression In Human Breast Cancer Cells. Huang B, Lu Ys, Li X, Zhu Zc, Li K, Liu Jw, Zheng J, Hu Zl. Int J Clin Exp Pathol. 2014 Apr 15;7(5):2179-84. Ecollection 2014. Androglobin Knockdown Inhibits Growth Of Glioma Cell Lines. Zhu Z, Li K, Xu D, Liu Y, Tang H, Xie Q, Xie L, Liu J, Wang H, Gong Y, Hu Z, Zheng J. J Neurooncol. 2013 Mar;112(1):17-25. Doi: 10.1007/S11060-012-1032-Z. Epub 2013 Jan 16. Zfx Regulates Glioma Cell Proliferation And Survival In Vitro And In Vivo. Liu Y, Zhu Z, Xiong Z, Zheng J, Hu Z, Qiu J. Int J Clin Exp Pathol. 2014 Aug 15;7(9):5750-61. Ecollection 2014. Knockdown Of Protein Tyrosine Phosphatase Receptor U Inhibits Growth And Motility Of Gastric Cancer Cells. Zhang H, Zhao B, Huang C, Meng Xm, Bian Eb, Li J. Plos One. 2014 May 2;9(5):E95520. Doi: 10.1371/Journal.Pone.0095520. Ecollection 2014. Melittin Restores Pten Expression By Down-Regulating Hdac2 In Human Hepatocelluar Carcinoma Hepg2 Cells. Han W, Liu Gn. Life Sci. 2010 Feb 13;86(7-8):234-43. Doi: 10.1016/J.Lfs.2009.12.005. Epub 2009 Dec 16. Egr-1 Decoy Odns Inhibit Vascular Smooth Muscle Cell Proliferation And Neointimal Hyperplasia Of Balloon-Injured Arteries In Rat. Ren J, Huang Q, Xu Y, Yang M, Yang J, Hu K. Anticancer Drugs. 2015 Jul;26(6):599-611. Doi: 10.1097/Cad.0000000000000224. Isoflavone Lupiwighteone Induces Cytotoxic, Apoptotic, And Antiangiogenic Activities In Du-145 Prostate Cancer Cells. Li K, Zhu Zc, Liu Yj, Liu Jw, Wang Ht, Xiong Zq, Shen X, Hu Zl, Zheng J. Int J Clin Exp Pathol. 2013 Sep 15;6(11):2460-7. Ecollection 2013. 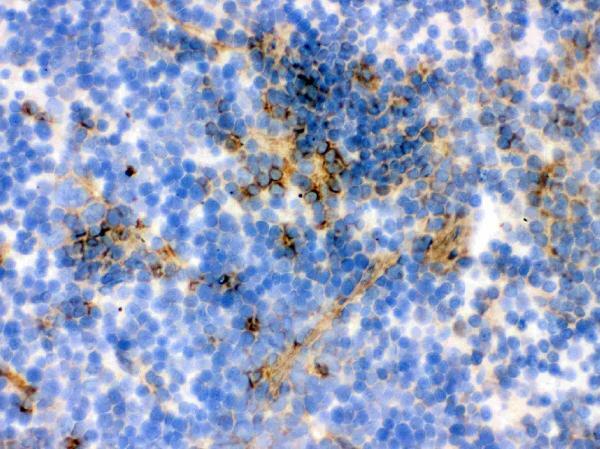 Zfx Knockdown Inhibits Growth And Migration Of Non-Small Cell Lung Carcinoma Cell Line H1299.